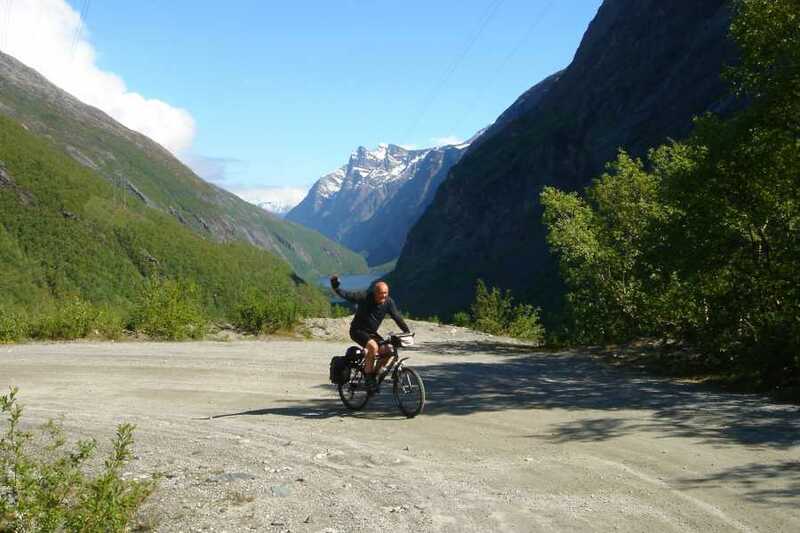 Experiencing wilderness and nature from the seat of your bike provides a new, close up Norwegian adventure. Smells, sounds, and weather become very real. 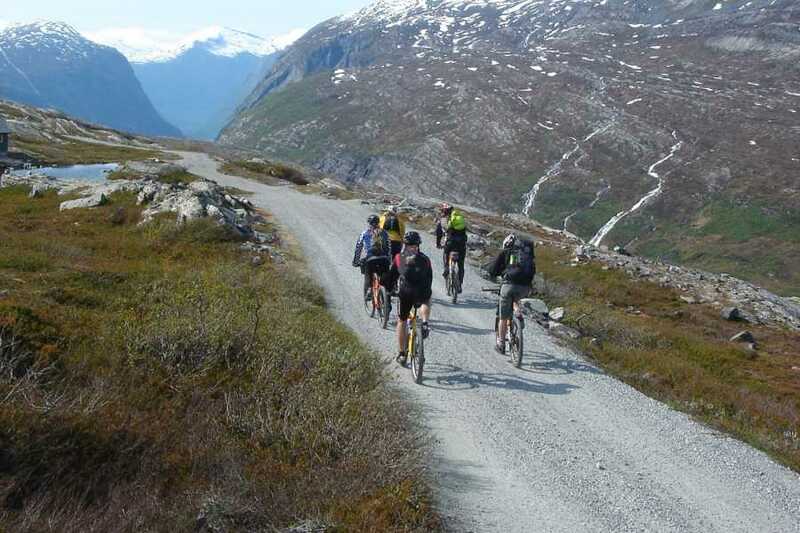 During this trip, you will experience the surroundings around you changing from fjords, to deep valleys, mountain plateaus, and with varied mountain ranges along the route. 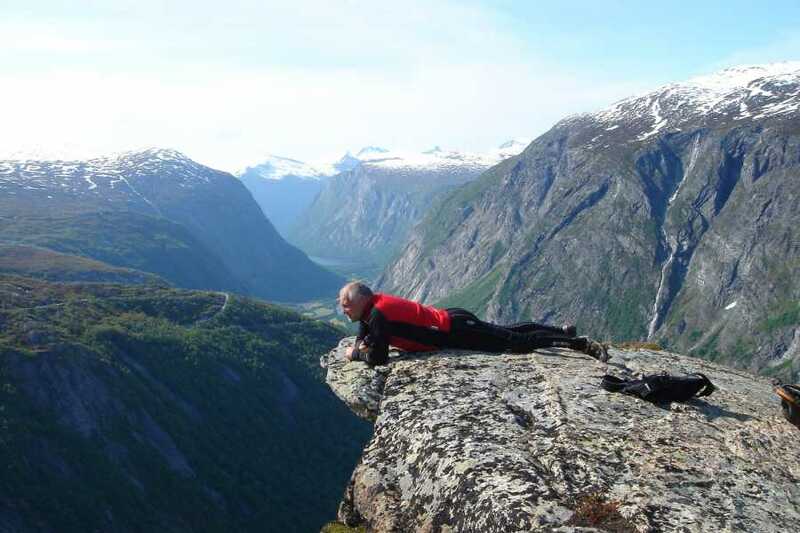 You can (if you're lucky) catch a glimpse of a reindeer or a grouse, spectacular fjord and valley views, and waterfalls. This trip gives you an escape from the bustle and speed of everyday life, slowing down and smelling the fresh mountain air. 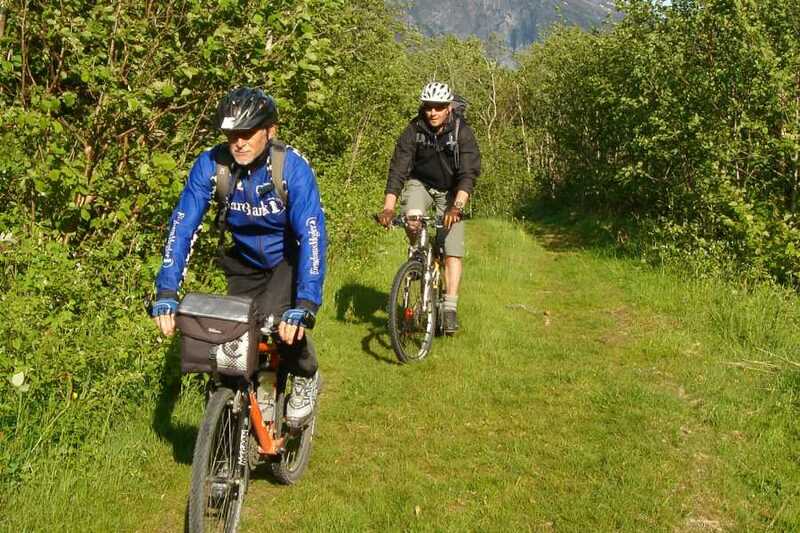 This biking trip in itself is an accomplishment, providing that sense of inner reward at the end of the trip. The tour is an adventure from beginning to end. 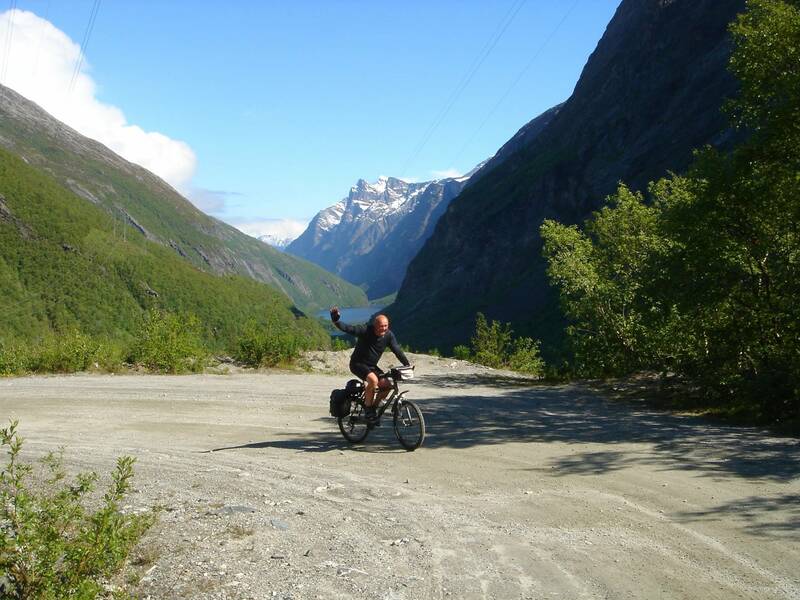 With varied trails and road, starting up in the mountains, having several km down by the fjords, and crossing a mountain plateau. 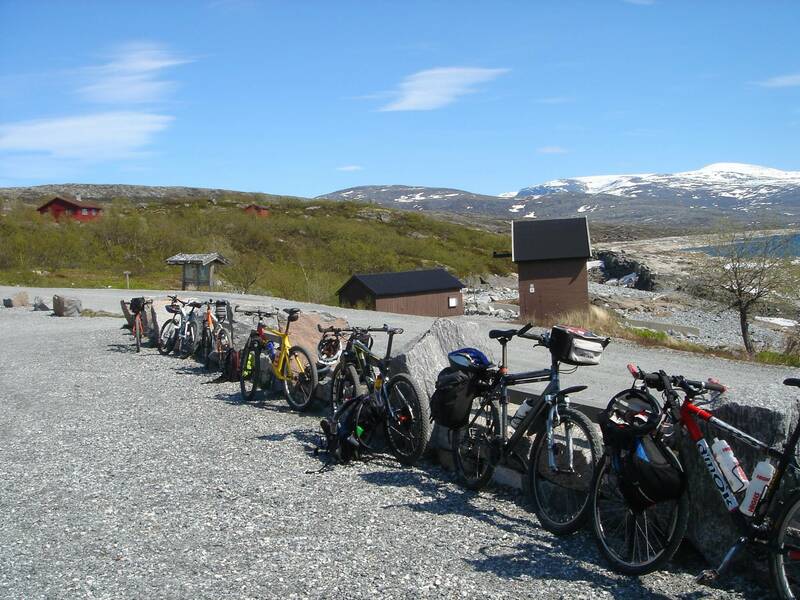 The tour starts at Oppdal train station (540 meters above sea level) and ends at Åndalsnes train station (at sea level). 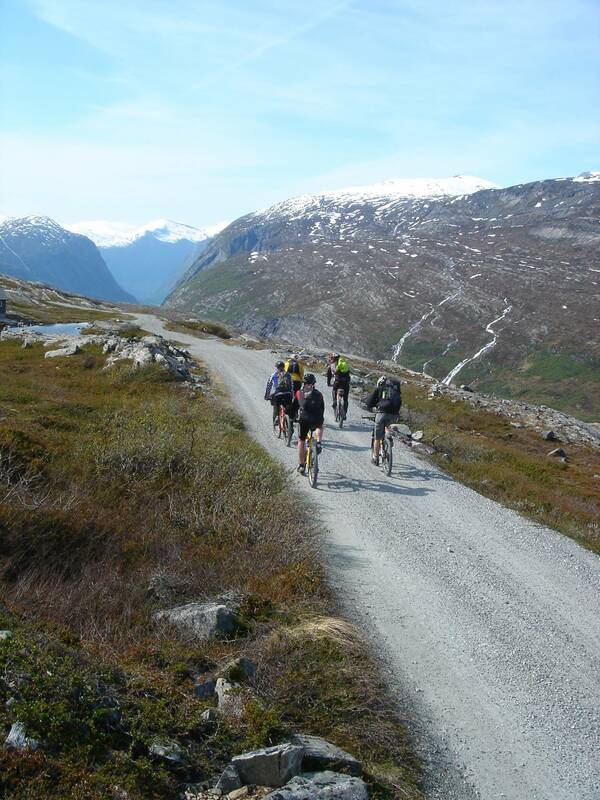 We then recommend the popular “Raumabanen” train journey back to Oppdal, or on to Oslo, after the tour. 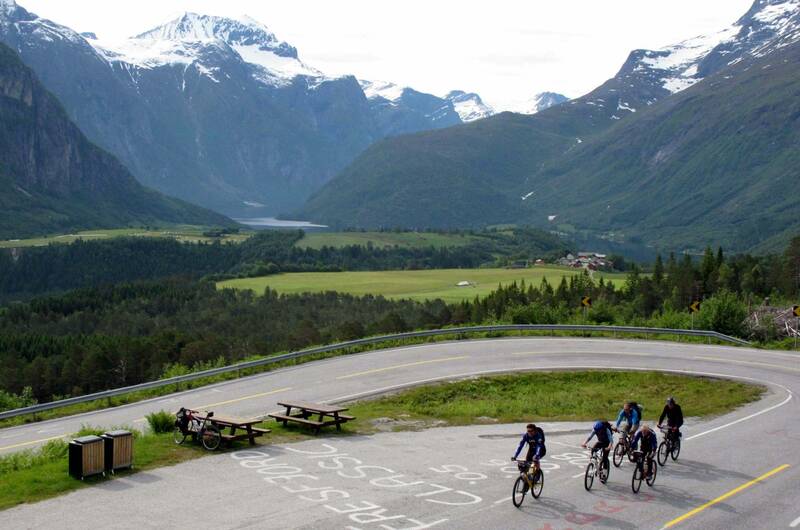 The tour is a total of 240 km of biking, we climb almost 4000 meters during the tour, and have even more downhill. This trip can be completed in 3 days, but for those who want shorter days on the bike, we recommend to make the tour in 4-6 days. 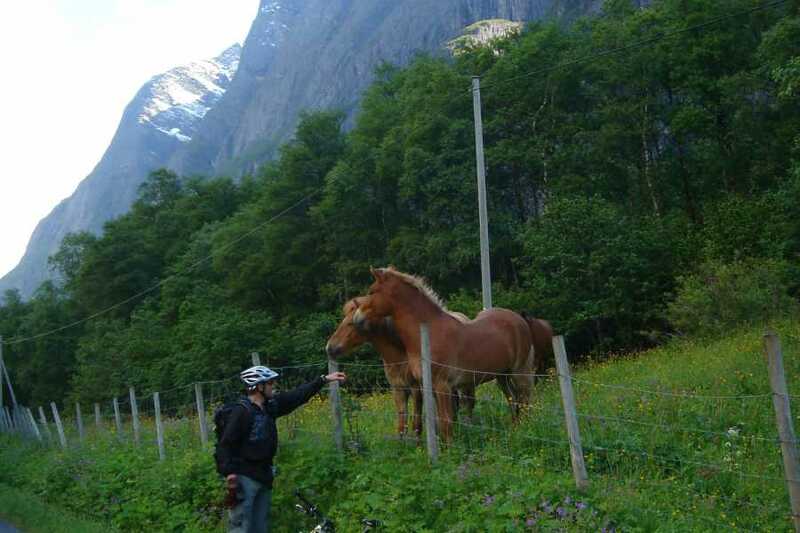 We also recommend to stay one extra night in Åndalsnes, and do the popular hike of “Romsdalseggen”.  Join us for an adventure you'll never forget! 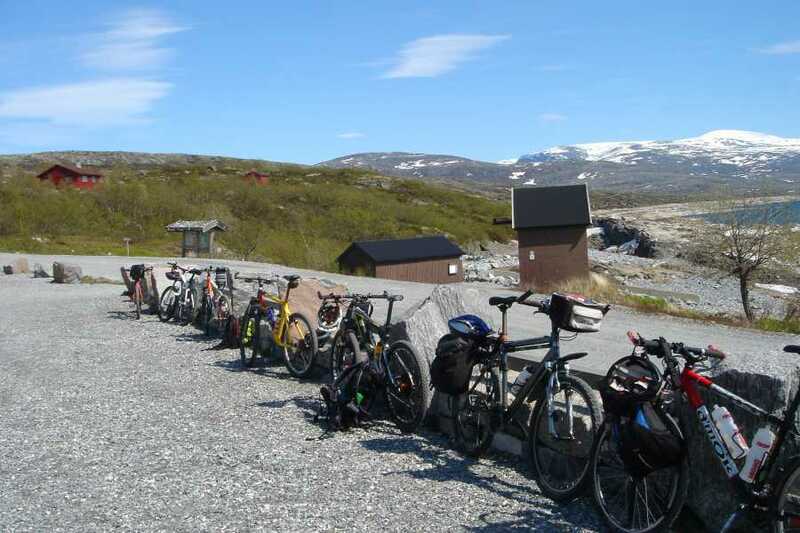 Lunch will be enjoyed at one of the many cabins we cycle past during the day. Most of the day, we will be in the area of Dovre and Sunndal National Park. Arrival Trædal Hotell and Turistsenter, accommodation, 2-course tasteful dinner is served in the ”old house” after a shower. 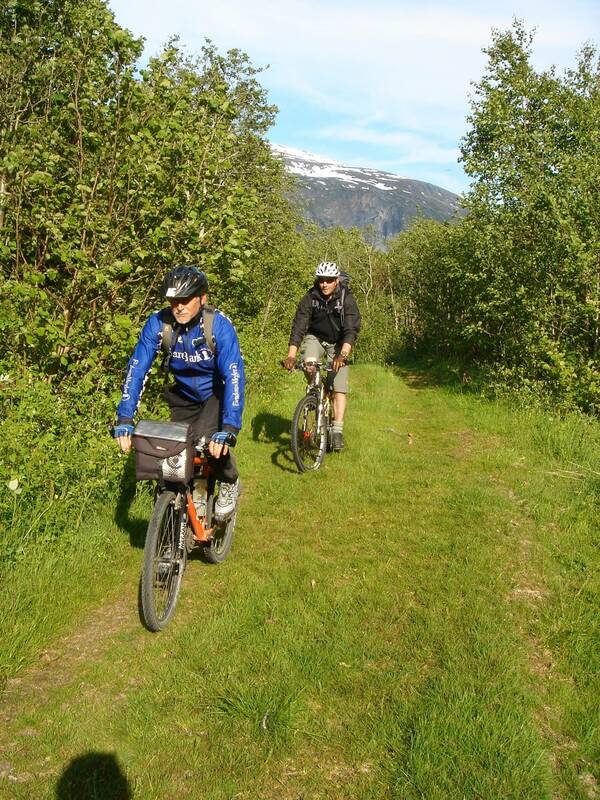 The theme of the day: Most of the day, we will be in the area of Dovre and Sunndal National Park. 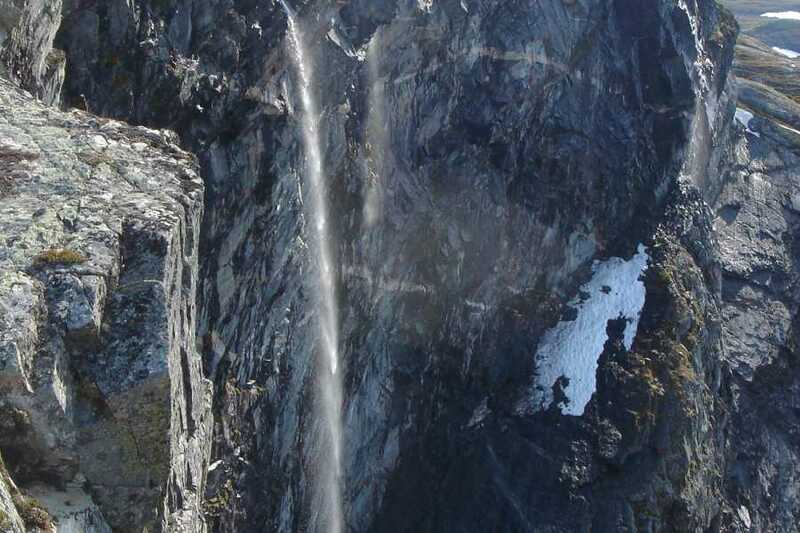 Here we will see many waterfalls, and maybe also some musk ox. Breakfast at the hotel in the morning, before we start the climb up to Aursjøen. 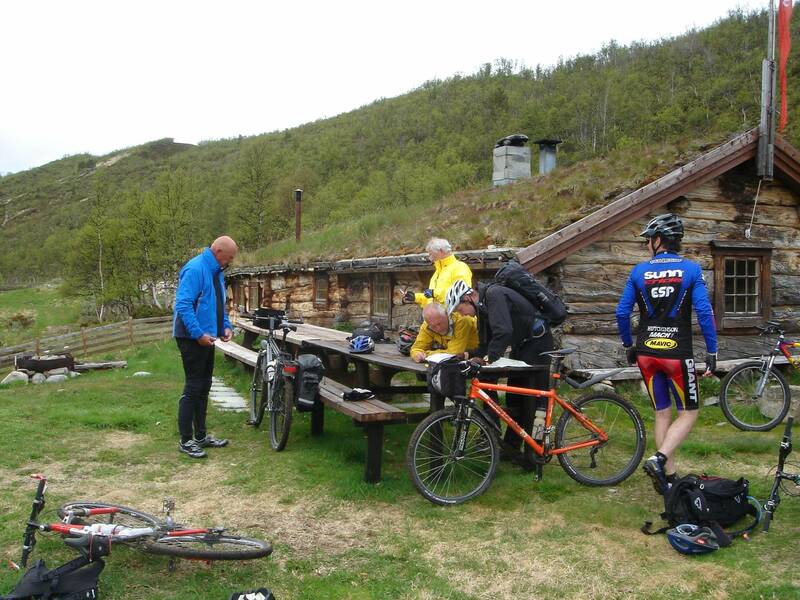 Breakfast at the cabin in the morning, before we start with the downhill down to Eikesdalen. 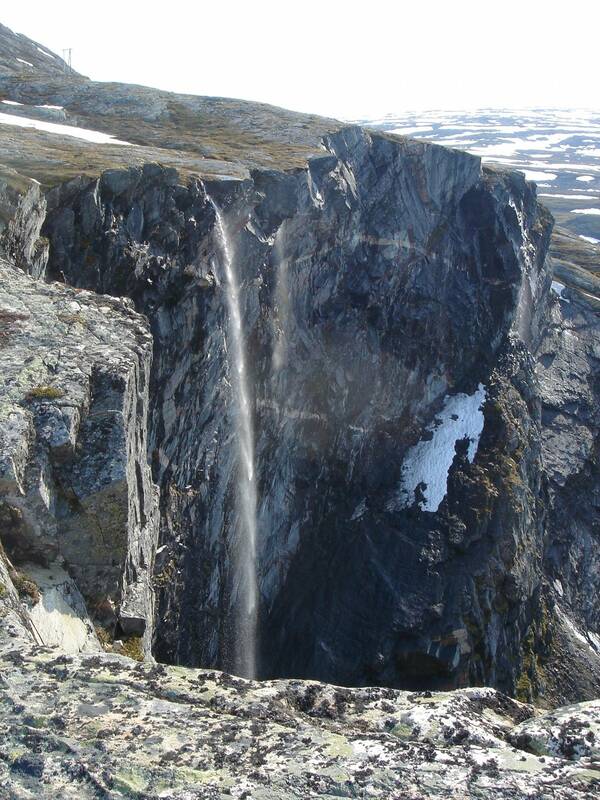 We make some stops along the road, at Aursstaupet and if time allows, we will hike into the waterfall Mardalsfossen. We stay in cabins in Øverås, where we will enjoy the dinner in the evening. Breakfast in the morning. 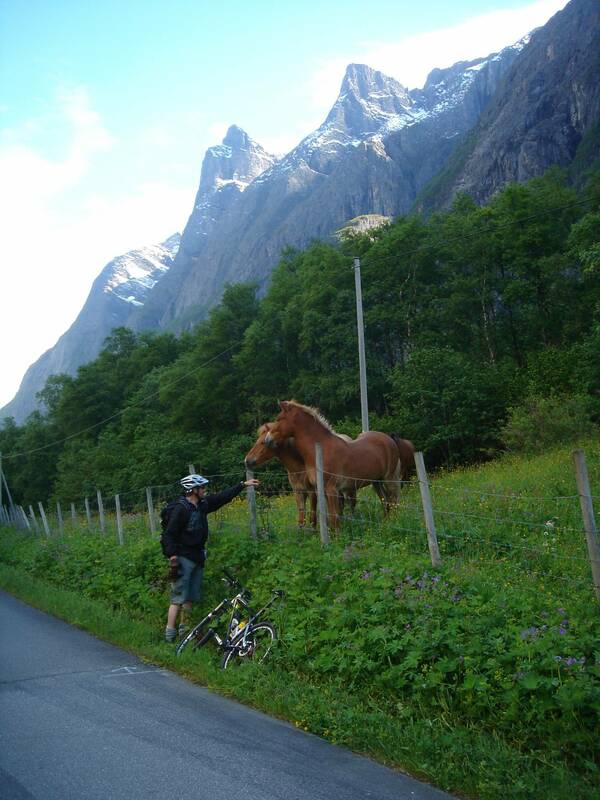 We start the day with the climb up to Vistdalsheia, before we get down again, and bike along the fjord - all the way into Åndalsnes. 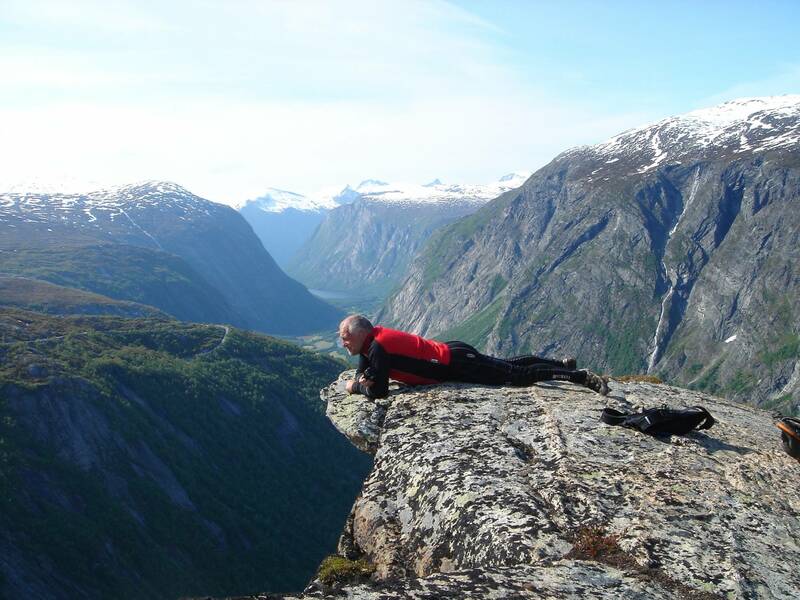 It is recommended to stay an extra day in Åndalsnes, and we can take you on the popular hike of the Romsdal Ridge, "Romsdalseggen". Please contact us for details.